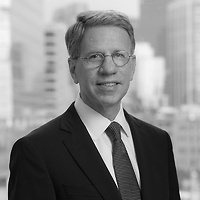 Robert A. Fishman, chair of Nutter’s Land Use, Permitting and Development practice group, will present at NAIOP’s “Hot Off The Hill: Government Affairs Roundup” program on December 7. The event focuses on the latest regulatory and legislative changes affecting commercial real estate in Massachusetts. Bob’s presentation, “Zoning Legislation: What Passed, What Didn’t & What Next Year May Bring,” will provide an overview on proposed zoning legislation. To view Bob's presentation, please click here.